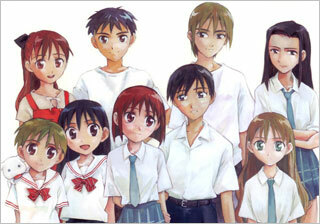 Karishi Kanojo no Jiho, more commonly known as Kare Kano, is really two shows. The first is the tale of the developing relationship of dueling straight-A students Yukino Miyazawa and Soichiro Arima, while the second is a grand tour of showrunner Hideaki Anno's directorial quirks. 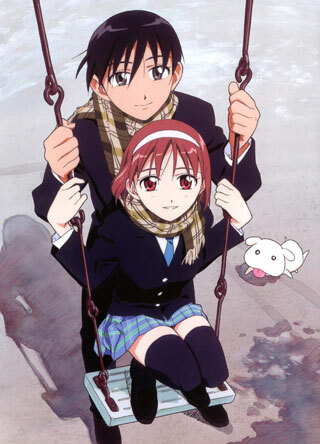 This makes Kare Kano hard to pin down, since to put it bluntly, the first show is really, really good and the second one? Not so much. 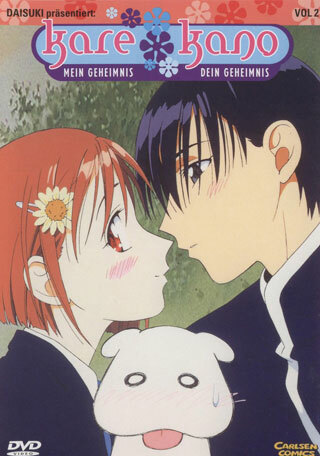 First, the good: Kare Kano is one of the few romantic comedies that actually deals with love, as opposed to infatuation. Typically, the "I love you" confessions come at the end of a romantic comedy, with the assumption that whatever comes after will fit into Happily Ever After territory. 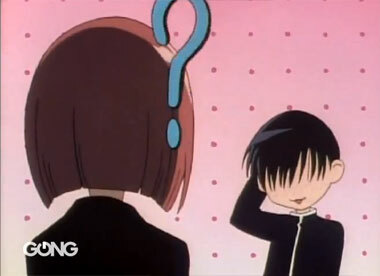 Not so with Kare Kano, which is about an actual romantic relationship, and not just the prelude to it: when two people actually get to know each other, as opposed to being captivated by what they think they know about each other. 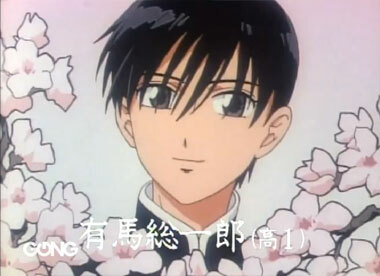 Arima, not one to let the grass grow under his feet, confesses his feelings halfway through the first episode. 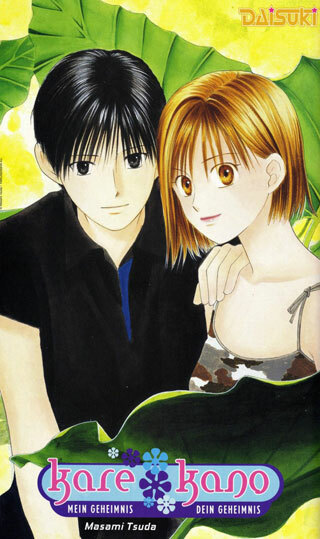 But with Yukino, the difference between the girl Arima has a crush on and the girl he eventually falls in love with are pretty massive. Addicted to praise, Yukino pretends to be a sweet, classy model student, while in reality she is selfish, slovenly and calculating. When Arima discovers her true colors (which is not a spoiler; this is all first-episode territory), how will his feelings change? Furthermore, if he can love someone so two-faced and emotionally stunted with all his being, what does that say about him? These are the questions that the show deals with, and it's orders of magnitude more interesting than the kinds of high school romances we typically see. 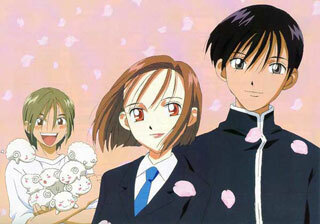 In the first half, most of the show is about Yukino and Arima, with only Yukino's rowdy family getting any significant screen time in addition to the stars. However, as the show goes on, the power couple takes a back seat while their friends and family take center stage. In some ways, this is disappointing, since Yukino and Arima are the main draws of the show. 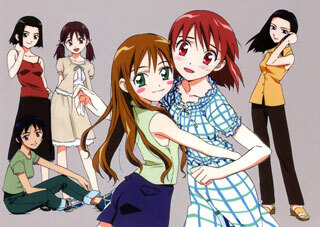 However, the increasing emphasis on other characters fits with one of Kare Kano's main themes: Love makes you grow. Just as the self-centered Yukino matures to let other people into her life, the show opens up to the wider world beyond her. The first half of the show is also filled with laughs; characters are constantly depicted as super-deformed munchkins, and there's a ton of slapstick comedy. Shiro Sagisu's memorable score, filled with intentionally grandiose classical arrangements as well as mournful stringed instruments, oscillates between bombastic and heart-wrenching at the drop of a hat. 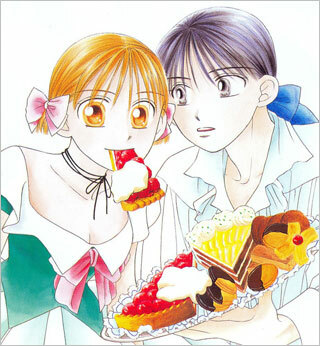 In fact, Sagisu's score is so reminiscent of his previous work, Neon Genesis Evangelion, that fans of that series might be cringing through Kare Kano, waiting for the gut-wrenching plot twists to kick in; fortunately, Kare Kano's characters live in a much kinder world. 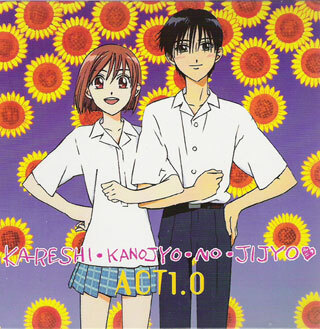 Speaking of Evangelion, the visual style of Kare Kano is often similar to the controversial final episodes of that series, where Anno was forced to deliver a bunch of still images with very little actual animation due to budget constraints. 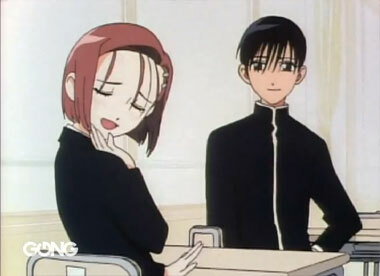 While fans will probably debate whether those episodes were an artistic triumph birthed from necessity or a massive cop-out until the end of time, the same style works much better in Kare Kano. 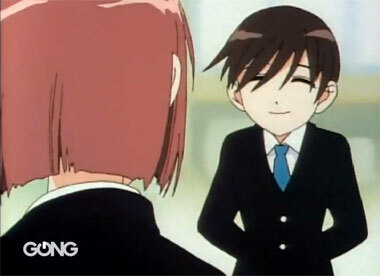 Filled with live-action stills, static frames of manga, tons of on-screen text, and Anno's penchant for using the sights of urban infrastructure for symbolism, the show has a rough, unfinished quality that suits the subject matter: just as Yukino and Arima's relationship is a constantly evolving work in progress, so appears the show itself. However, this intentional roughness starts to get out of hand later in the show, when some episodes give up even the pretense of being animated and present a deluge of still images, or barely animated rough sketches. At some point, it crosses the line from the unfinished look being a stylistic choice to just looking like the animators didn't finish the job. In fact, after the first recap episode, the show starts to lose its way, and not just stylistically; despite the fact that we liked seeing Yukino's world open up as she starts to care about the people around her, some digressions into the lives of†supporting characters start to feel like filler. Furthermore, the constant recapping, which starts off as merely unnecessary, becomes downright excessive towards the end of the show; in addition to several dedicated recap episodes, most episodes include some form of recap at the beginning, which is usually too long. 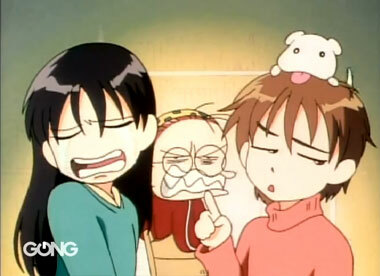 This show doesn't have a complicated plot- no one could possibly need this much help keeping track of everything. By the final episode, it often felt like we were listening to some narrators tell us about the story instead of actually watching it, which is quite a shame. 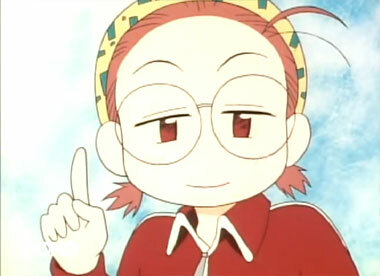 Supposedly, Anno left the show due to creative differences with original manga author Masami Tsuda, who wanted the show to be more romantic and less comedic. While Tsuda might not have approved of Anno's directorial choices, the episodes without him are particularly lacking; a side story about Yukino's precocious sister Kano, one of our favorite supporting characters, feels lackluster and soulless. Finally, the actual ending feels like a slap in the face. If you liked the art-school project style of the Evangelion TV series ending, this is that divorced from its proper context; if you hated it, this is everything that was wrong with it, only worse. We can forgive endings that leave things unresolved, as though the creators ran out of cells; what's hard to forgive is the fact that everyone involved here seemed to run out of interest. 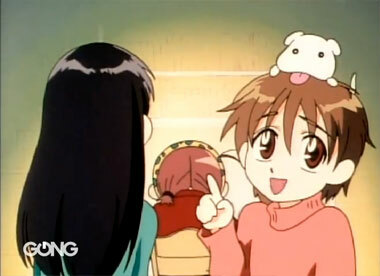 It seems that after the creative differences with the manga author squashed the possibility of a second season, Studio Gainax didn't even go through the motions of salvaging the end of the first one. 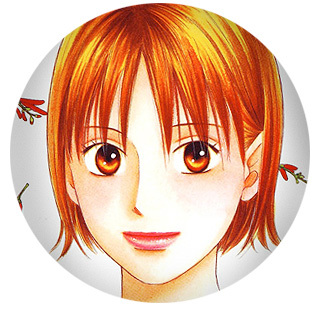 And yet, with all these misgivings, we still have to recommend Kare Kano- even with the caveat that you may as well skip several episodes, including the last one. When the show is firing on all cylinders, which is it is pretty consistently for the first half to three quarters of it, it's one of those rare series that can be both hilarious and moving, sometimes at the same time. For all its flaws, the fact that it's one of the only romantic comedies that deals with how love changes people, as opposed to merely the idea of love, cannot be ignored. 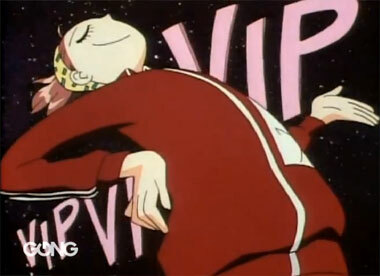 Also, we couldn't love Yukino more. Still, how can we recommend a series that takes such a pronounced nose dive towards the end, and occasionally looks like the animation budget was limited to whatever spare change Anno could find between the seat cushions of his couch? Well, what can we say; sometimes, love makes you do crazy things. 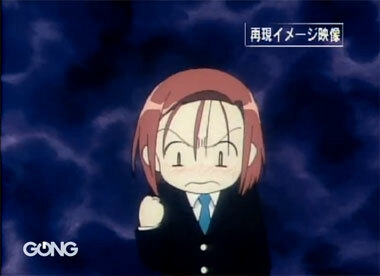 Below: Scenes from Kare Kano. 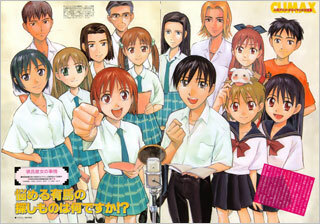 Below: Promotional illustrations for Kare Kano.